Last month I talked about how I’ve organized our homeschool learning materials and space. Today I’d like to talk about how I’ve organized our homeschool days. With four kids, ages 7 to 16, it takes a bit of finagling to make sure everyone gets their share of Mom’s attention and that everyone is having a happy, productive time. This is how we do it. Over the weekend I prepare a list of what each child will be doing the following week. Simple is best. You’ll notice that each list really is just a list, without times attached to it or an overabundance of explanations. I have my own list that shows me in a two page spread what the three younger children will be doing this week. I include things like doctor’s appointments, outside classes, etc. Each child has his/her own list. The 11th grader follows his own list, the middles have theirs to refer to and the 2nd grader’s list is for me to refer to. 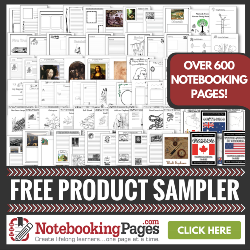 Download this year’s planning/assignment sheets here. David’s (11th grade) list lays out what he needs to accomplish during the week. Much of what my high schooler does would be termed “self study,” but he also has a couple of video/computer courses. Every Friday he and I will sit down and discuss his literature and philosophy readings. He has a log to keep track of what he accomplishes and how much time he spends on it. Peter (5th) and Mary (7th) each have a chart that shows them what we we be doing together each day and what their independent assignments are for the week. They have places to check off what they have finished and what day they did it on. Skills like math and English they work on every day, but we rotate through social studies, science, health, art, and music. I’ll describe that a little more when I outline our routine. Emma’s chart is a copy of the first page of my 2-page spread for the 3 youngers. I keep this in her file box so I can easily refer to it when I am working with her. This saves me from carrying around my own binder from room to room and gives me a paper record of what she did this week to add to her portfolio. Each child has their own box of materials. These are the things they use every week and need ready access to. Having their own box gives them a place to put things away and gives them an easy way to cart their things to another room in the house if they want to. My teen has a milk crate he keep under his desk in his room. The youngers have file boxes with lids that have handles. I keep things like teacher manuals, read alouds, etc. in a file sling by my desk in the kitchen. Note: this is what it looked like week 1 of the year. We are six weeks in and it it is not nearly this pretty looking now. Time to clean up a bit. Ahem. We begin with prayer. This might happen at 8:30, 9, 10:15…there is no set time. Then my oldest disappears and I read our current read aloud to the 3 youngers. On Mondays, I briefly go over with the two middles what they are doing this week and leave them to it in the kitchen while Emma and I move into the living room to work on her lessons. Emma does: religion, spelling, reads aloud to me, math (her favorite), and our current Five in a Row study. We do not do religion or Five in a Row every day. 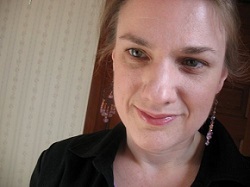 Meanwhile, Mary works daily on: math (Teaching Textbooks), spelling, and reading comprehension. Each week she will also have history and science reading assignments, history questions to answer, a notebooking page, and any assignments I give her to complete from our working together times. Peter works daily on: math (Math U See). If it is a new lesson, he watches the video and then he and I will work on the first lesson page together. Each week he will also have history and science reading assignments, a history notebooking page, and any additional assignments I give him to complete from our working together times. Throughout the morning, the kids are free to take any breaks they want/need---the other day they had a Nerf battle. Ducking outside is frequent in nice weather. I do not mind as long as their daily work gets done each day and their weekly work gets done by the end of the week. If something doesn’t get done, we talk about it and maybe readjust things a bit. The two middles do try to finish as much weekly stuff as they can early in the week so they have more free time later in the week. They are also free to work on their assignments before prayer time or later in the evening…whatever works for them. I finish with Emma by lunchtime. During lunch we sometimes have another read aloud. Currently we are reading a book on the American Revolution. Then I eat and they have some free time. Friday is a spare day in case our week has been shifted by life or we just need more time on something. We also work on our next step in Adventures in Fantasy, which depends entirely upon where we are at. For the rest of the afternoon, they work on independent work and/or I work work with them individually in any area they need help in. Every other Tuesday we have a music class we attend in the afternoon. We have other enrichment things we are participating in various afternoons, usually at 3:30, so we try to be done with everything before then. The kids are free to knock off for the day if they have completed their daily things and are happy with their weekly progress. I try to get our together things done early so that they are not being held up by me. Generally, the two youngest are done in early afternoon and the two older children take longer, partly because they have more to do, but also because they choose to manage their time differently. Peter wants to get his stuff done so he can move onto his own stuff, whereas Mary prefers to mix her own stuff in between things that are assigned. Every hour or so, throughout the day, my oldest comes downstairs to show me his current painting he’s working on or to argue some philosophical point. Because choosing what you will do and won’t do is the key to making things work for you. I don’t micromanage my kids’ time. I don’t micromanage my teen. I do help David by dividing up his courses so he knows what he needs to complete each week to reach his goals for the year (and they are his goals, for the most part he has selected his courses for this year). Currently, I type up a list of what he needs to complete each week and he works on those assignments at his own pace, recording what he has completed in a log. If he doesn’t complete something or he works ahead, no biggie---we just adjust accordingly going forward. My goal is to transition him to making his own lists by the end of this school year. But the main point is that he is in charge of his time and how he spends it. If he wants to build Lego all day, I don’t mind. He knows he will have to do his coursework some time. I don’t micromanage my 5th and 7th graders: Both Peter and Mary have a weekly assignment sheet that lays out for them what their week’s assignments are and what they will be doing with me and with each other during the week. The together things are scheduled for particular days and have slots in our routine, otherwise it would be a headache to coordinate everyone. But their independent things are left to their own management. I will gently remind them that they have things to do if it seems they are goofing off a lot, but I don’t tell them what to do and when to do it. We embarked on this year with some trepidation…I really didn’t know if they could manage their time wisely…but it is working beautifully. They both love having control over their own time. The key here is not to assign too much and not to assign them things that they can’t handle on their own. I am always there to help if needed. I don’t even micromanage the 2nd grade, I just help her more. Emma does most of her things with me at least in the room, but often right by her side. It’s not possible to help her with her reading fluency without working with her directly. Yes, I teach her math and read to her and all the things. I do give her some little tasks to do independently, but I’m always there in case she needs help. Within a couple more years, I expect she will be much more independent. But at the same time, she still has a lot of control over her school work. Today she didn’t want to do Five in a Row. Ok. She did want to do 8 pages of math. Also ok. I don’t sit with each child every minute that they are working. But I do sit with them when they need it. I don’t plan out every educational single thing my kids do. This is probably a topic for another blog post for the near future, but basically it comes down to this: I cannot be the conduit for all of my kids’ learning. This would limit them sooo much. What I can do is make sure that we work on the foundation together, but ultimately their education is much bigger than what I (or anyone, even a school board) can plan for them. Therefore, I recognize that much of the learning they do and will continue to do cannot be planned by me. My goal is to allow them plenty of free time for exploring. I don’t post a schedule with hours/times on it. The reason is because I simply cannot plan out things to the minute. I tried doing it to the hour once and I was behind before lunch time on the first day. A routine just works better for us. I don’t freak when something I thought would get done this week doesn’t get done. Unless it’s calling the plumber about the copper supply pipe to the sink spraying water all over my basement. For the most part, though, it’s easy to do some things next week, next year, or even never. For the truly necessary things, we continually work on them and make progress. I try to remember that what I had planned for this particular day, week, or month is arbitrary to some extent. We will get to it, or we will decide that it wasn’t necessary after all and jettison it. I don’t plan a lot of fancy projects. I did, once upon a time. But I found that planning all the projects was becoming too much like micromanaging my kids’ time or planning out all their learning. It limited them and caused me too much stress! And…the projects they invent on their own tend to be so much better. I do still plan art projects (they tend to be very open-ended, though). And I do provide resources, materials and free time for the kids to pursue their own projects. They generally have bits of pieces of those projects all over the house at any given time. Now, don’t get me wrong---I don’t think there is anything wrong with doing any of these things. I did try to micromanage once upon a time. And I do recognize that a strict schedule can be just what a family needs. And some children really do need (or want) Mom at their elbow all day, everyday. 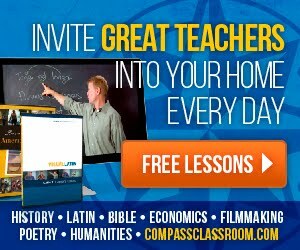 Each homeschool is unique and what doesn’t work in mine might be perfect for yours. But it can be a challenge to coordinate multiple kids at different levels, and I just wanted to give you an idea of some of the things that help our homeschool to run more smoothly simply because I choose not to do them. I make sure that each child gets one-on-one time with me at least once a week and that I am generally available to help. For the teen this may really only be once a week (but it is a couple of hours). For the youngest this is every day for an hour or more. The middle kids have a mix of independent time, time working one-on-one with Mom, and time working with each other and Mom. It is important for me to know that if they are struggling, I know about it ASAP so I can help them with their struggles. I try to maintain a routine. The routine gives us a tremendous amount of freedom, because when we stick to it, we are able to work efficiently on the important must-dos and this frees up a lot of time to do the want-to-dos. Truth be told, the want-to-dos really are as important as the must-dos, but the must-dos are foundational. If I skip or skimp on them, I neglect my children’s education. Following the routine makes me do what I need to do, but it also keeps us from frittering away our time on piddling stuff. Sometimes the routine gets put aside for a life (a special occasion, a doctor’s appointment, a family crisis, or whatever)…but it’s easy to pick it up again. I keep the routine simple. Once upon a time I would write what we were doing on the white board each day. Every single little thing. My kids function better when they know what to expect, and so this gave them a visual record to refer to. It was also a good way to keep me accountable---if we didn’t get to something I had planned, everyone knew it. And if we finished early, everyone would know if I tried to tack extra things on (wink). I don’t write things out on the white board anymore. Too much writing. And besides, I need that white board in case a kid wants to write out his math on it or I want to note some important names from the history reading. Our individual lists work so much better for this, plus the routine is simple enough that I can keep it in my head without taxing my brain too much. I work hard to make sure that I don’t give them more than they can reasonably handle. This usually means that I figure out the work load that I think they can reasonably handle and then I reduce it by a good bit. I have this incurable optimism about how much can be done in a day. Sure, you can work nonstop for a day, but you can’t do it every. single. day. And what would be the point if you did? That’s not what we’re living for. At the same time, growth requires challenge. There’s this subtle balance to be maintained between keeping them challenged and not overwhelming them. I admit that I often miss the mark, which is why it is so important to check in with them regularly to see how things are going. 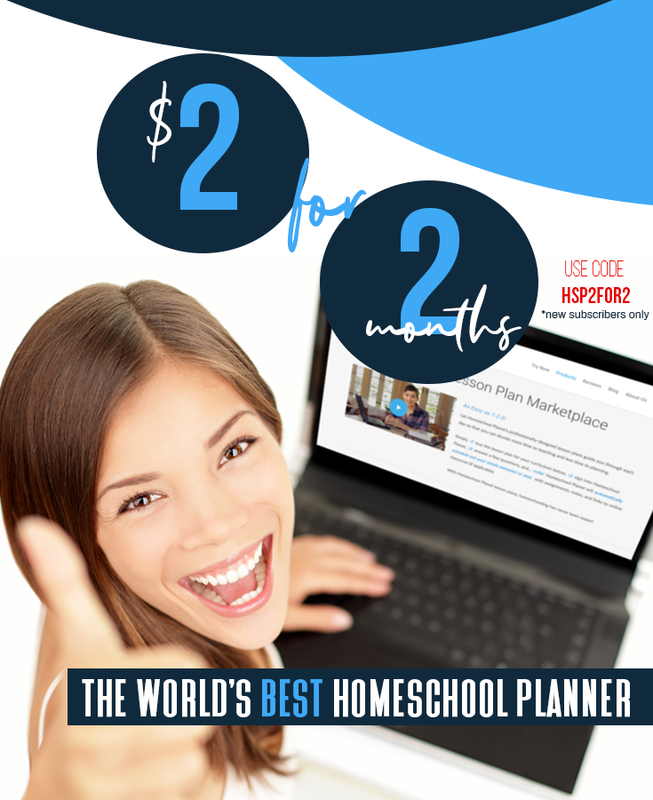 How do you organize your homeschool days? I love this! As my children get older and there are more of them doing more formal learning, I see our days looking a lot like this!